Last week, while FIU joined the American Association for the Advancement of Science’s Innovation: An American Imperative (#InnovationImperative) initiative to encourage Congress to support more STEM research, the College of Engineering & Computing’s Atorod Azizinamini also presented on Accelerated Bridge Construction (ABC) at the U.S. Dept. of Transportation. 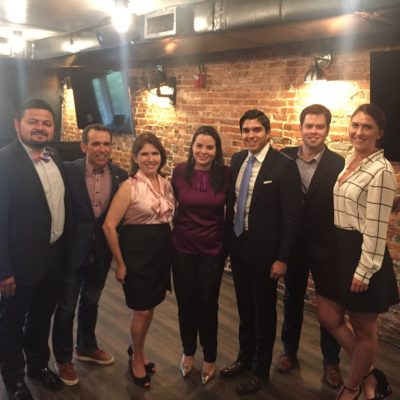 Plus, a very special Panther alumna joined D.C. area alumni in fundraising for the survivors of the Orlando PULSE shooting. Transportation innovation is chief among FIU’s list of federal priorities, and Atorod Azizinamini stands at the forefront of the university’s Accelerated Bridge Construction (ABC) research. Thurs., June 23, Azizinamini presented recent findings before the U.S. Dept. of Transportation. The goals: 1) Encourage the department to place greater emphasis on ABC, which reduces the impacts of on-site construction; and 2) produce safer, more environmentally friendly bridges that last longer. Of the nation’s approximately 600,000 publicly owned vehicular bridges, approximately one quarter are either structurally deficient or functionally obsolete. ABC focuses primarily on bridge replacements that solve the urgent need to replace substandard structures while maintaining the flows of traffic. The mission is to reduce the societal costs of bridge construction by reducing the duration of work zones; focusing special attention on preservation, service life, construction costs, education of the profession; and developing a next-generation workforce fully equipped with ABC knowledge. Following his presentation at the U.S. Dept. of Transportation, Azizinamini headed to Capitol Hill to meet with Congressional offices, including those of Debbie Wasserman-Schultz, Mario Diaz-Balart, Carlos Curbelo and Ileana Ros-Lehtinen. 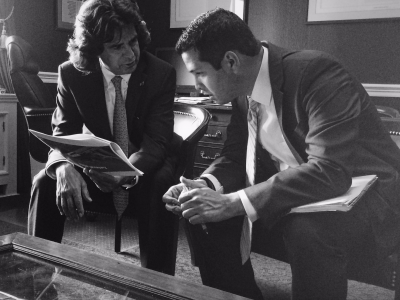 FIU in D.C. is excited to congratulate alumnus and previous student intern Christofer Horta on his new appointment as staff assistant for Chairman Xavier Becerra at the House Democratic Caucus. Prior to this new post, Christofer served as an intern for Congresswoman Frederica Wilson. Interested in learning more about jobs and internships in D.C. or interning in the city and connecting with our D.C. Panther network? 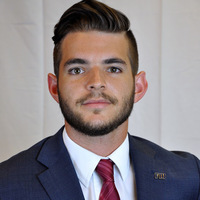 Contact FIU in D.C.’s Career Success Manager Ethan Starkey at ethan.starkey@fiu.edu. To learn more about FIU in D.C., please visit washingtondc.fiu.edu; call (202) 558-3481; or follow on Twitter, Facebook and Instagram.